Updating and upgrading phone systems is one of the strategies businesses use to boost their competitive advantage. When customers want to talk about phones, they’re looking for ways to enable employees to seamlessly communicate, both within their organization and outside of it. Today’s business communication is much more than desk phones and headsets. It encompasses all forms of communication: from instant messaging and email to audio and video conferencing. With the growing need for business communication that connects employees with customers and makes co-worker collaboration a breeze, our voice specialists can translate your business needs into an ideal phone and voice solution. 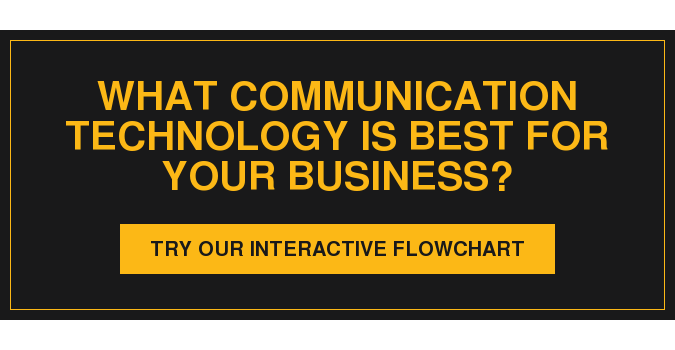 Phone and voice systems are complex, feature-rich and able to remove many of the bottlenecks of business communication. Fortunately, consuming and using state-of-the-art communication technologies doesn’t have to come with the responsibility of assembling, implementing, managing and maintaining them. Our primary phone and voice solutions fall into three categories: On-Premise Phone Systems, VaaS and UCaaS. VaaS and UCaaS are cloud-based communication systems that allow businesses to take advantage of the latest communication features with simple and affordable monthly payments. You can unite local and remote staff for meetings, chats and conference calls through a fully integrated solution - like UCaaS or VaaS - for all devices. It’s the ideal option for businesses who want all the latest features and options without having to manage on-site hardware. Cloud-based communication systems make supporting multiple offices easy and eliminates the need to manage maintenance and service contracts. VoIP phones look like normal phones with a handset, cradle and buttons. But, instead of connecting to a standard phone line, VoIP phones have an Ethernet connector that carries phone calls over an IP data network, whether it's on the Internet or your own internal private network. The entire system is manageable with just a few clicks of your mouse. As your company grows, you can add, remove and change user information in real-time. Marco’s UCaaS gives organizations access to the latest integrated applications such as real-time web and audio conferencing, mobile applications, softphones, contact center, presence and secure instant messaging. And as a hosted service, organizations hand over a significant portion of maintenance costs and all of the worry to Marco. With UCaaS, it’s easier than ever to bring together local and remote staff for face-to-face web meetings, group chats and conference calls.